Murray Weigel Hall (Julia Comerford/TheFordham Ram). In an interview with The Ram on Jan. 29, Bob Howe, Fordham’s senior director of communications said the university is prohibiting all students from visiting Murray-Weigel Hall, the Jesuit New York Province’s infirmary and retirement home on campus. Howe said the university could have done more to investigate the Northeast Province’s placement of priests at Murray-Weigel Hall. “With the opportunity to review these matters in hindsight, with the information now available to us, the University should have sought to handle matters related to the Province’s assignments differently, much like the University’s recent insistence that current tenants of Murray-Weigel against whom credible allegations have been made be immediately removed,” Howe said. In response to the Northeast Province’s release of a list of names of priests credibly accused of abuse, Howe said the university is no longer allowing students on the premises of Murray-Weigel. “Unless and until the province can assure us they will not assign restricted Jesuits to Murray-Weigel Hall, even on a temporary basis, we are prohibiting all students from visiting the premises, nor will any restricted priests who may reside at Murray-Weigel Hall have access to Fordham facilities,” Howe said. Howe did not indicate when the decision to prohibit students from visiting Murray-Weigel Hall was made or when the decision will take effect. 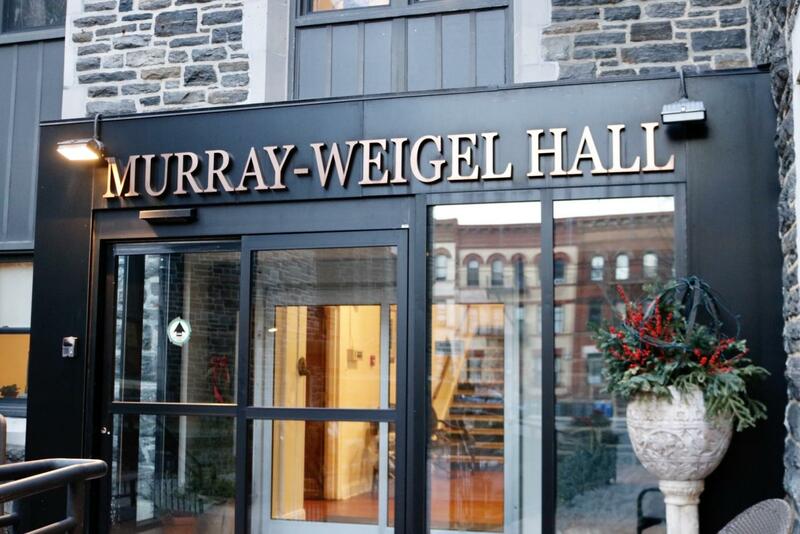 In an email from the Manresa Scholars Program sent to Loyola residents on Jan. 27, a sign up for a reflection program at Murray-Weigel Hall was offered to residents. The event is scheduled for Jan. 30 at 1:15 p.m. As of that morning at 1:30 a.m. a reporter was able to RSVP for the program. Several student-volunteer programs under campus ministry have previously allowed Fordham students to visit the priests at Murray-Weigel Hall. The Ram reached out to members of Campus Ministry regarding the prohibition of students from Murray-Weigel Hall. They did not answer the questions specifically and referred The Ram to Bob Howe. The university has not commented on the time period during which priests credibly accused of sexual misconduct lived in Murray-Weigel Hall and has not responded to multiple questions regarding who specifically resides in Murray-Weigel Hall now. As The Ram previously reported, directors at Murray-Weigel said the hall could not provide a list of priests in residence and that the Northeast Province of the Society of Jesus should provide that information. The Northeast Province has not responded to requests for this information. Howe said Fordham will continue to support victims who have suffered from clergy sexual abuse. “Any unwanted sexual act—much less the sexual abuse of a minor by someone in a position of authority—is counter to the mission and ethos of the University, and a violation of basic human decency,” said Howe.